A beautiful movie about a fathers love… The movie has a great cast with Matthew McConaughey, Sandra Bullock and Samuel L. Jackson. No outshining performances… But has a touching and heartwarming story. 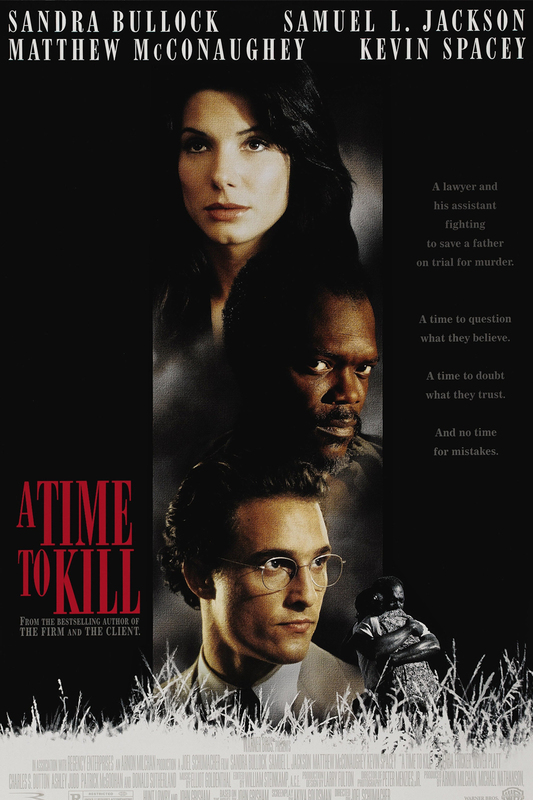 Samuel L. Jackson plays 'Carl Lee Hailey' who is accused of murdering two men who raped his 10-year-old daughter and Matthew McConaughey plays 'Jake Tyler Brigance' a small time lawyer who defends him. The movie is about how Jake Tyler Brigance defends Carl Lee Hailey in court and how he convinces the jury, that sometimes… just sometimes you have to look the other way… We all know justice is blind but this movie shows us that justice is… color blind. Watch this movie… I know most of you hate lawyers, but this guy is all right. The last argument presented by Jake Tyler Brigance brings tears to your eyes… so have a box of tissues.